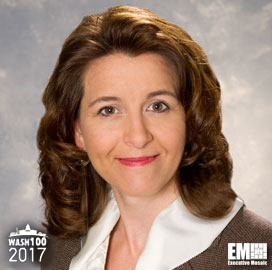 Executive Mosaic is honored to introduce Kathy Warden, president of Northrop Grumman‘s information systems sector, as an inductee into the 2017 edition of the Wash100 — Executive Mosaic’s annual selection of influential leaders in the government contracting arena. 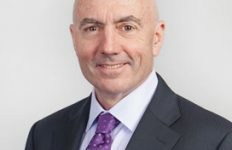 Warden also holds a corporate vice president title and is responsible for hardware and software products areas such as command, control and communications; cybersecurity; identity management; homeland security; health; public safety; enterprise infrastructure; and intelligence, surveillance and reconnaissance and ground systems. She previously served as sector vice president and general manager of the cyber intelligence division within Northrop’s information systems segment. Northrop held a series of cyber defense competitions across the U.S., Middle East and Europe in April 2016 as part of efforts to boost cyber education and workforce development. 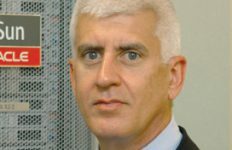 “Globally, we face a critical shortage of trained professionals ready to take on the job of securing our systems and networks. These competitions are a great way to get youth involved and open their eyes to the enormous potential of pursuing an education and a career in cybersecurity,” Warden said at the time. 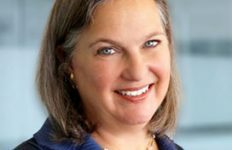 Warden joined Northrop in 2008 from General Dynamics, where she served as intelligence systems VP within the advanced information systems business unit. 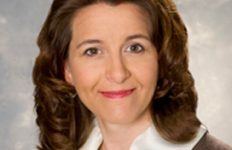 She previously worked at Veridian Corp. as a senior VP and at General Electric as systems engineer, corporate auditor, strategy and merger-and-acquisitions director, and director of the global services operating unit in GE’s information services segment. Executive Mosaic congratulates Kathy Warden and the Northrop team for their selection to receive this award.